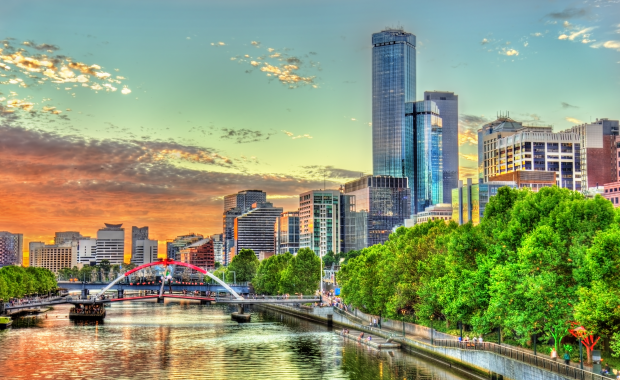 This year’s worldwide Liveability Index, developed by The Economist Intelligence Unit, crowned Melbourne the World’s Most Liveable City for a record-breaking seventh win in a row, in a coup for the City of Melbourne council and its residents. 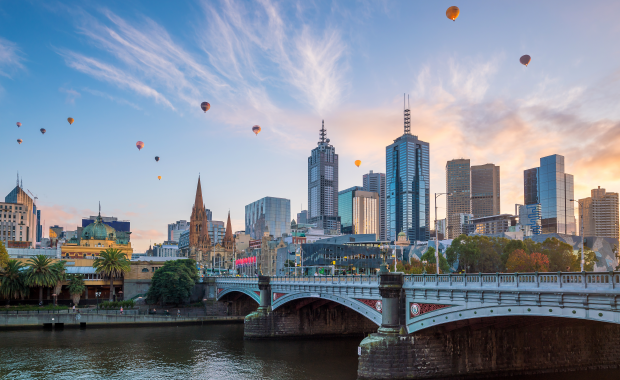 Melbourne was recognised for its low crime rate, quality of infrastructure and accessibility, and, of course, the impressive diversity and richness of culture and environment, which both residents and tourists alike are quick to champion. No city is perfect however, and it’s important for everyone, not just urban planners, to better understand the impact the built environment can have on people and economies. Australia’s ageing population is bringing added pressure to both the economy and healthcare systems, and there are changes needed in Melbourne to relieve stress on the city and improve the wellbeing of residents, especially as they age. Research has demonstrated that people who participate in physical activity, whether this is an occasional stroll through the neighbourhood or high-intensity session at the gym, have a richer sense of wellbeing, are happier, and live longer and better. Their participation in physical activity means they are less susceptible to depression, stress and chronic disease. It’s also well established that physical activity is beneficial for infrastructure and environments. When people elect to cycle instead of drive or walk to their local public transport hub, both traffic congestion and traffic pollution are reduced. So how do we encourage active living in residents to achieve these positive outcomes for individuals and the city as a whole? We need to build and support active cities. Active cities refers to the design elements of cities that help residents and visitors integrate physical activity into their daily lives. Our research has identified the design principles that cities need to implement in order to achieve active living in residents, as well as the subsequent health, economic and environmental benefits. To encourage active living, there are five key built environment settings that must be considered in town planning; open spaces and parks, urban design, transportation, schools and workplaces/buildings. When these five key built environment settings are designed to support active living, city councils not only experience economic and environmental benefits, residents enjoy improvements in safety, public health, and social activity. These improvements include business and job growth, reduced crime, improved air quality, reduced levels of depression and stress, and increased civil engagement and volunteerism. So, as the World’s Most Liveable City, how does Melbourne stack up as an active city? Melbourne is renowned for its colourful culture, sensible street layout, access to myriad destinations and inherent walkability; a key element in building an active city. In many ways, Melbourne is a prime example of how a city and its population can thrive by designing infrastructure, transport systems, parks, schools, and buildings to support active living. However, Melbourne also presents as a “tale of two cities”, with the key active city characteristics extremely well-developed in the centre of the city, but mostly lacking in the outskirts and fringes of the CBD where the majority of the population resides and commutes from. In the CBD, Melbourne boasts a variety of features designed to encourage walking, public transport and social activity. The grid pattern of streets is easy to navigate, with mostly wide pathways for pedestrian use. There are several pedestrian zones that are well used. However its cycleways are rare and not well designed. Melbourne’s colourful and vibrant culture is most renowned in the famous side streets and alleyways, which are everywhere and easily accessible thanks to the grid pattern. Public transport in the form of trains, trams, and buses provide many options with broad networks and frequent interchanges. These factors are aspects of a city that encourage active living, and the benefits can be seen in increased home values (especially in and around the CBD), greater retail activity, reduced health care costs, and improved productivity. How can Melbourne keep its top ranking? While the CBD ticks almost all the boxes of active city principles – pathways, easy access to public transport, and local greenery – fewer boxes are being ticked in the city outskirts. 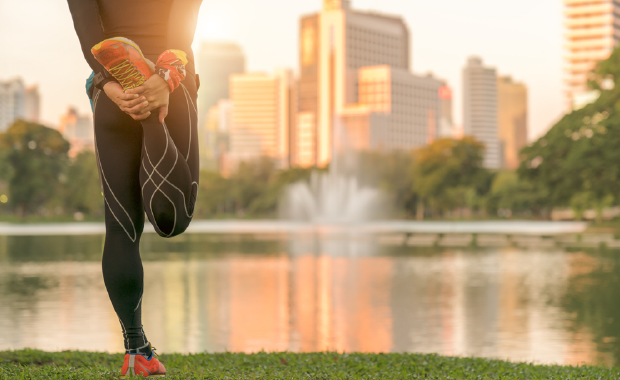 To keep Melbourne’s top ranking, there are a few changes that need to be made to create a fully functional city that encourages active living for all residents. One of Melbourne’s biggest problems is the reliance on cars and roads as a form of transport. While the CBD has schools, workplaces and retail centres all located within distances accessible through walking, cycling or public transport, this is not the case in the city outskirts. The outskirts of Melbourne are mostly car-dependent, with disconnected streets and few, if any, shops within easy walking distance. The absence of daily walking for transport and hours spent sitting in cars contribute to higher rates of obesity and related chronic diseases. As the city grows, more and more people rely on their cars to get to where they need. Car dependence can be linked to urban sprawl and a decline in liveable communities that are in close proximity to schools, retail centres and public transport, which are being steadily replaced by housing estates. Melbourne has yet to prioritise one opportunity that could benefit residents in the centre and the outskirts. Approximately half of all trips in Australia are within bicycling distance of about 7km, but the vast majority are taken by car. Thus, promoting bicycling could avoid many millions of car trips every year. The main barrier to bicycling is fear of traffic, and many cities have shown that when bicyclists are protected, bicycling increases. Unfortunately, painted lanes do not protect, so the first key is separating cars and bikes, and there are many ways to do this. The second key is to create a network so cyclists can commute safely. Most residential developments are now single-use rather than incorporating schools, shopping centres, and outdoor recreational areas. People residing in these areas can no longer do most of what they need to do in their own neighbourhood, and are travelling further and further to access these essential community services. By designing communities where these features have been incorporated from inception, walkable or cycle-able access is enabled and car reliance and usage is reduced, decreasing congestion and pollution along the way. Cities that maximise physical activity for transport and recreation improve the lives of residents and experiences of visitors, and the full range of benefits like improved health, environmental sustainability, and economic vitality are experienced. 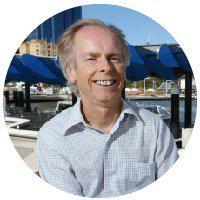 Professor Jim Sallis is a world-leading social science researcher and Professorial Fellow at Australian Catholic University’s Institute for Health and Ageing.